The Porsche 917/20 takes a special place among the various 917 versions. It remains a unique one-off, combining the advantages of the short and long tail 917. 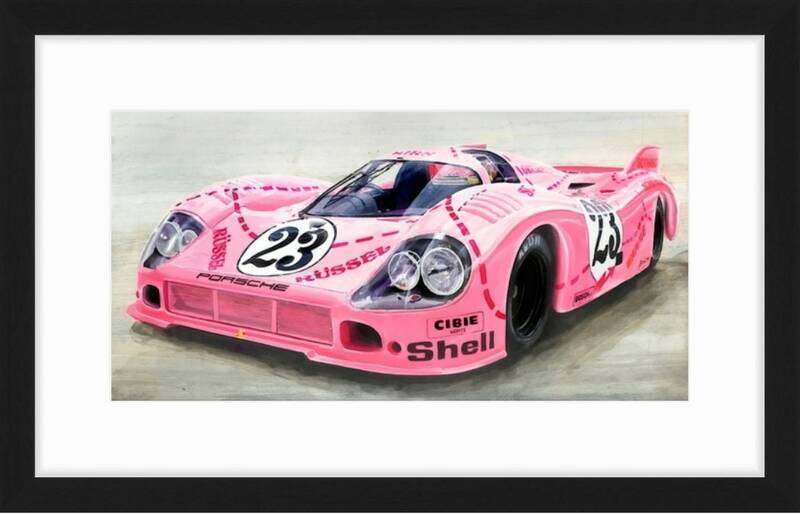 But the best part was the pink paintwork which led to the 917/20's various nicknames: "Pink Pig", "Big Berta" and "Trufflehunter of Zuffenhausen". Porsche designer Anatole Lapine decided in favour of the pink body colour and labelled each of the body parts according to the butcher-style cuts. 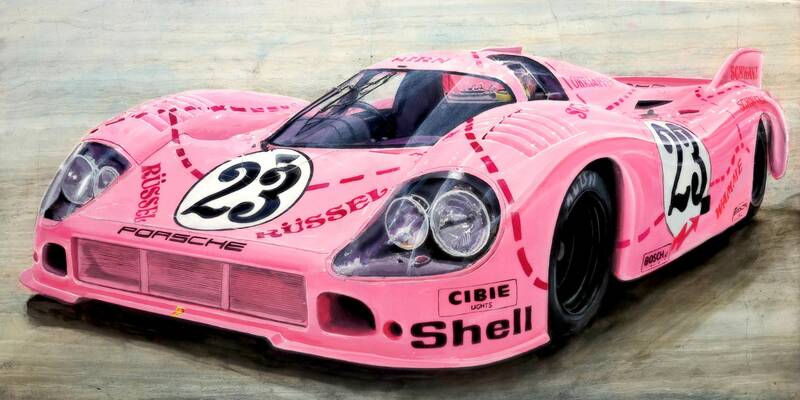 Porsche caused a sensation at Le Mans 1971 with the Pink Pig. It was the fastest car during the pre-race qualification session, although it was totally untested. But during the main race, the 917/20 running in fifth position dropped out shortly before the end due to an accident. The original acrylic-and-ink on stone painting is the 2nd in the series and measures 24x12" (inquire if interested). 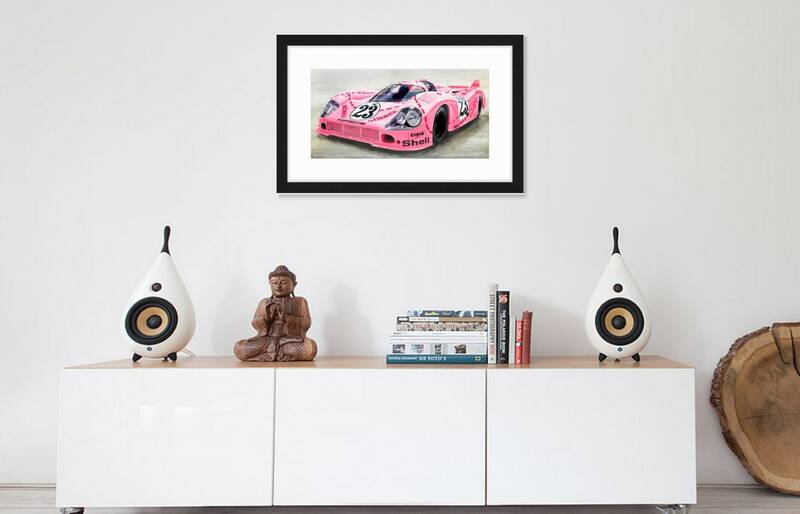 The "917 Collection" option includes all three 917 "Stone" Canvas Prints (Pink Pig, Martini Racing 917 and Gulf Racing 917), each measuring 34x17". Each collection is individually signed and numbered. (All three prints numbered the same).